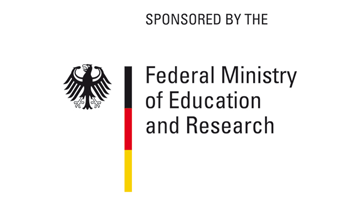 From 2013 to 2018, the German Federal Ministry for Education and Research (BMBF) has supported six German-African Research consortia under the GlobE (<<Securing the Global Food Supply – GlobE>>) program. The aim is to promote the development of sustainable agriculture in African countries to secure a stable food supply for the local population and to explore innovative biomass uses in an African bioeconomy. 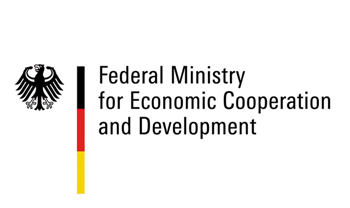 Additional funds for the international agricultural research centres come from the German Federal Ministry for Economic Cooperation and Development (BMZ). As the program is drawing to a close, the final GlobE conference will take place in Naivasha, Kenya on the 3rd and 4th of December 2018; around 250 participants from African countries and Germany are expected to attend. The conference will be an opportunity for the six GlobE consortia to present their various outputs to a broad audience made up of scientists and implementing stakeholders. For instance, the conference will entail four parallel dialogue sessions that enable scientists to interact with practitioners, development experts, policy makers and representatives of the private sector. This is to stimulate discussions on how to use the GlobE outputs to develop the African agricultural sector with the aim to achieve food security in Africa. The conference will allow participants and GlobE consortia to engage in networking activities and to discuss follow-up strategies and activities that will be built on the results and legacy of the GlobE initiative. The BiomassWeb project was present with 25 members from African and German partner organisations. Dr. Christine Schmitt (ZEF) and Dr. Raymond Jatta (FARA) gave a plenary overview of the project and its key outputs while, Dr. Michael Kwaku (icipe), Dr. Adebayo Abass (IITA) and Dr. Girma Kelboro (ZEF) gave snapshot insights into field experimentation, value addition and involvement of the stakeholders in the BiomassWeb research process. During a parallel exhibition, project members showcased sample products, posters and smartphone Apps from the project, while an opportunity was provided to sign up to BiomassNet. The afternoon session was dedicated to four parallel dialogue sessions (science-policy, science-development, science-SMEs and science-practice) which allowed frank exchange of hurdles and opportunities for better communication of research results to key stakeholder groups. All in all, the PAC provided an excellent opportunity for the six GlobE-projects to take stock of their achievements during the past six years and to start discussing future opportunities to carry the GlobE-momentum into the future.